I have so many old outfit shots that I haven’t blogged about which is why some of you may have noticed that I still post photos of me with my longer hair from time to time. These photos were taken a few days after I cut my hair and changed its color. It was during the holidays when we spent the last few days of 2012 in Tagaytay. While the rest of Manila was still experiencing Mr. Sun’s fury, we were already enjoying the cold weather down south. My love for sweaters is especially heightened during the holidays. I just can’t get enough of them. This time, I styled it in a fun and youthful way to show the world the cheery mood I was in. Besides, I’m nearing my 25th year already so I’m making the most of my youth, while I can still get away with outfits like this. I find this sweater really charming. I guess it’s because of the patchwork design. It reminds me a little of rag dolls even. I don’t know why exactly but it really does! 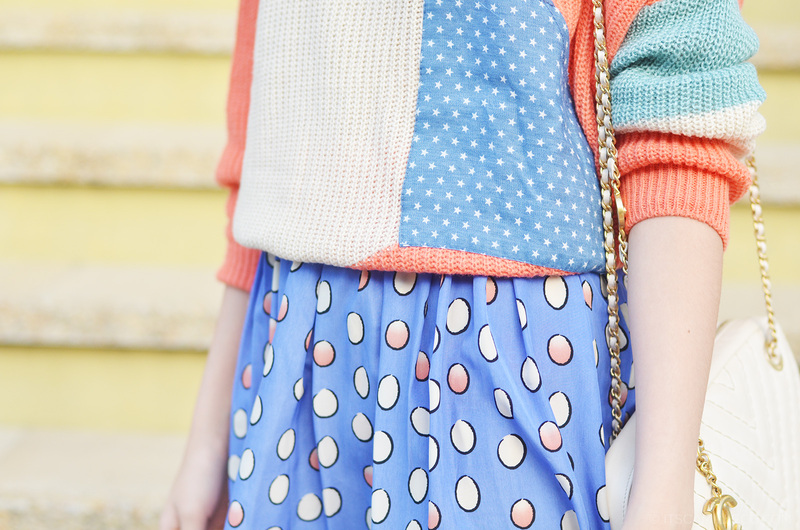 It’s hard not to style this in such a cutesy way. dress me up…. lol im a barbie!!! qt outfit.. I love all your outfits and pictures… Such a beauty..
hi camille! such a youthful outfit :) just curious, if you dont mind.. did you get ur nose done?? this is the reason why i like you. very creative and fun. very experimental. i can still picture you wearing this outfit 5yrs from now. omg! 1yr gap lang pala tayo but you already accomplished a lot! This is just so homely and full of youth.. Makes me wish I was young again. And, no, I’m not even that old. Nasa Calendar pa naman, kahit papaano. Having had a peek at your new red locks from your instagram, it’s kinda exciting to see how you get to do your colour coordination. Thanks Angee! Love keds too! I so love your outfit Ms Camille. aww you’re so cutie here, you don’t look like 25 to me honestly. Gusto ko yan! Sweet 16! :) Haha! Gusto kong ngumawa nang ngumawa! You’re nearing 25 pero dito, mas mukha ka pang 19 kesa sa akeeen! UNFAIR! And your legs, hindi lang pala ‘yan sobrang haba, NAKAKASILAW pah! what lipstick is this, camille? heheheh.. Ang cute po ng outfit nyo po dto… heheh.. pwedeng pangpasyal.. This oufit suits in everywhere you want to go especially in Amusement park.. and it so comfortable with your shoes.. heheh I like your concept in combination of sweater and skirt.. with matching white shoes.. LOVE IT<3. Thanks Emmrose! i know daebak! :) Yay! Hi Ms. Camille, I super love your style! I hope someday I could be just like you! You look Korean here! Love the sweater by the way. love your outfit. super cute ms.camille. :) anyways, what color will you suggest for my prom this coming february and my skin is tan.? thank u ms.camille. 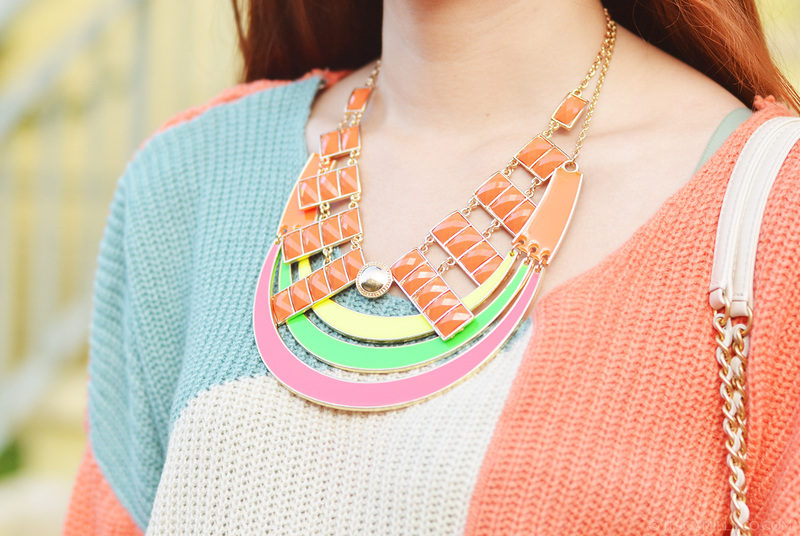 super love the bright colors :) pwde pala maging fashionista kahit naka sweater :) btw ms. camille when ka po mag 25? You look so fun and quirky, a timeout from your sophisticated look. Lovely! Timeout indeed :) Thanks Ainsley! you look like 18 here!! :) so pretty! love your outfit! I love the outfit, lakas maka bata, and btw, you look teens. Why so charming my dear awesome I-idolized?”,) I love the colors and style of your outfit. It is very fun and youthful styled! Oh and the keds are the PUREST. Seriously. Mine are as dark as my soul…. Ahh! Your so cute and colorful. You somewhat look like a k-pop artist. I like your hair you had cut it right? Super A D O R A B L E!!!!! Yes I have :) Thanks Laurice! You look adorable and you didn’t look near 25. 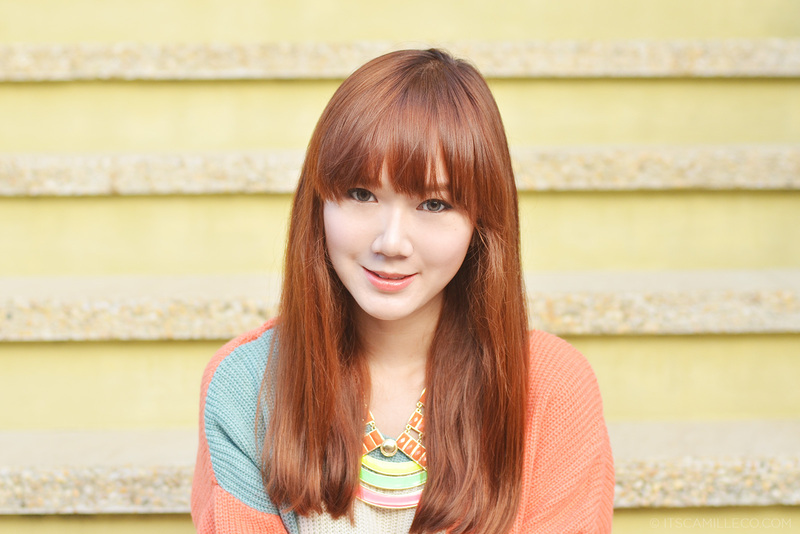 Ngiisip ako nang isusuot q sa baguio..that’s why i visit your blog..perfect n perfect tong outfit i love you camille!!! lgyan ko kaya ng stockings n black what do u think?? I love this post! It’s just good vibes. Carefree, young and cute! Anyways, I’m currently experimenting in how to do make up.. I know.. It’s just lately that I’m familiarizing myself with BB creams, Primer, Contours, etc. Is it possible na you can make a tutorial for “barely there” na makeup? Like the one that you’re wearing on this post.. It’s simple and parang hindi mukhang ineffort masyado yung face. Bet!!! Wow! East Africa! :) Thanks Yolanda! HAHAHA didn’t you know? I’m a vampire! It’s like you’re in paradise =))) Sooooo pretty! Cute sweater!! Btw, my prom is near and im just planning.to buy a dress nalang. Any malls in mnl you can suggest? Its a big help! Thanks my fashion icon. You look like a teenage girl here Ms. Camille! The orange necklace resembles the gift I gave to my sister for her birthday :) Tagaytay will always be one of the my fave places too! Because of the cold weather I can wear sweaters! Hay nako Camille Co! You better say sorry to my tantalizing and titillating eyes. Masaklap na tanawin ang 2nd, 4th, and 6th photo! Di pa ako ready makakita ng Camille Co kind of p-e-R-p-e-k-t-i-o-n. CHOS! Buti na lang inobserve mo ang PG 13 rule naten at took a safety measure to avoid further damage sa aking eyes. Ito ba yung Chanel na giftlaloo ng daddyla mo? or yung isa pang parang close to white din? Grabe I’m excited to see na your latest Chanel purchase! Yung ininstagram mo! Diba bagelya din yun? I-outfit post na yan! 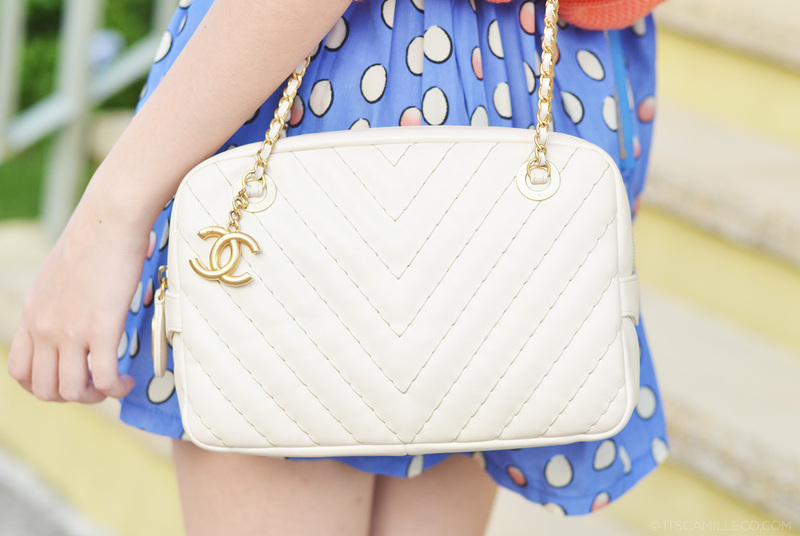 I LOVE how all your Chanel bags vary in designs! Very sulit ang pagpakyaw mo kasi talagang magkakaiba sila! Next in line talaga dapat ang Hermes! ay Proenza pala muna! Yung future husband mo na dapat ang bahala sa Hermes! CHOS! PAHABOL LANG. SOBRANG KINIS MO NAKAKAINIS! may pores ka pa ba? parang di ka pinagpapawisan te! Walang sinabi ang kaputian ng shoes at Chanel purse mo sa kaputian ng biyas (legs) mo! Nagmukha silang worn out at overused dahil dyan sa balat mo! chos! kaloka na nakakainggit! huhu! :( LOOOORD TAKE ALL MY MELANIN PARA LANG MAGING GANYAN KAPUTI! KEBS NA KAHIT MASUNOG AKO TUWING TANGHALING TAPAT! HAHAHAHA OMG! You are hilarious!!! Talagang ginive-up mo ang melanin mo! :) May pores ako! Siyempre, tao lang haha! May storyline! :) Thanks Maebs! I love this look. So young and playful! You look like a korean, cams! And may kamukha ka sa 2ne1. forget her name! hehehe And your sooooooooooo white! you look so sweet in these colours :) really nice honey! What’s an Ulzzang? Thanks Sephie!